Moray Council has moved to officially object to proposals to expand a wind farm on Speyside – but backed the giant Moray West offshore plan. Fred Olsen Renewables wants to build seven new turbines, six of which will be nearly 500ft tall, at Paul’s Hill near Knockando. Due to the size of the development the application has been submitted directly to the Scottish Government. 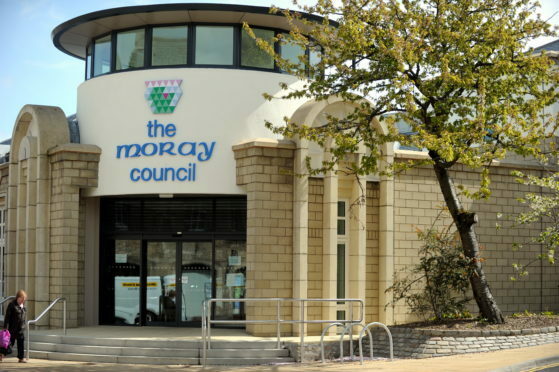 Yesterday, members of Moray Council’s planning committee unanimously agreed to write to ministers to object to the plans due to the impact they would have on the local environment. Principal planning officer Neal MacPherson said that the turbines would appear “imposing” from Spey Valley and Knockando and could dissuade visitors. He said: “Turbine one in particular would be perceived as close to the properties to the east and would have a substantial presence in the immediate landscape to the east of it. While the council is keen to block the creation of Paul’s Hill II, it has decided not to object to an offshore development about 20 miles off the coast of Lossiemouth. A maximum of 85 turbines, each up to 935ft tall, could be built as part of the Moray West proposals, a final decision on which rests with Marine Scotland. Forres councillor Claire Feaver likened the size of the structures to the Shard in London and raised concerns about the view from the coastline.